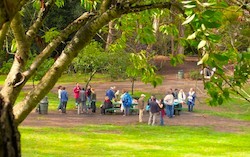 Join the festivities at AASCEND‘s annual potluck picnic in the park Saturday September 13. All are welcome for an afternoon of informal socializing and games with our community. Maybe we’ll get needed rain again! 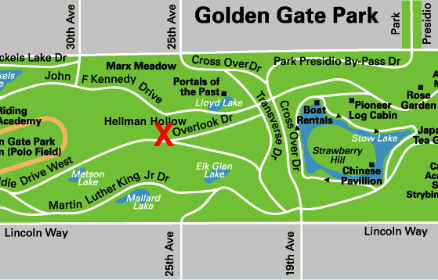 This year the picnic will be held at Hellman Hollow (formerly Speedway Meadow) in Golden Gate Park. We will have food and drink, but bring something to share if you can. No RSVP is necessary. Set-up begins at 11:00 AM. Many autistic people have complicated relationships with their own bodies: Some have unusual gaits or feel trapped in their bodies and some enjoy “stims” like rocking and hand-flapping. Join AASCEND August 16 for an experimental adventure as we invite movement specialist Greacian Goeke to guide us in exercises with music that can make us feel more at home in our physical selves. (Family too!) Mind and body are connected and so it’s possible that freeing movements can help in autism. Let’s find out together! This is an opportunity not to miss. After the break we’ll explore together the difficulties we have in organizing our activities and our lives — and share with each other organizational strategies that have worked for us. If time is limited we will return to this important subject at a later meeting. Parking is available in the garage at 255 12th Street, with a reasonable flat rate for Saturdays.